I am consolidating all the certifications that either I have already completed or I am targeting in coming days :-). Purpose is to provide a one place of information about the certifications and also to motivate myself by visiting this list and see which one is not completed. VCP on vSphere5 is the latest certification on the vSphere platform , VCP as we know is one of oldest VMware certifications. This gets upgraded with the each major release of vSphere and contains Objective multiple type questions and a time limit of 90 minutes. VCP5-DT is one of latest in the desktop certification track. This emphasizes on the VMware View and Thinapp product family. This is a must do for people who wants to specialize in the area of Desktop consulting and implementation. There are not many people who have this as of now. Update: 14 Aug 12 , Completed my VCP5-DT exam to become VCP5-DT. VCP5-IaaS is a new VMware certification and this is part of the Cloud Infrastructure , this exam is focused on the vCloud Director product suite of VMware. This is a pretty new exam so not many people are out there with this credential yet. You need to be VCP5 first to write this exam. Update: 17 Nov 12 , Completed my VCP-IaaS exam to become VCP-Cloud. VCAP DCA/DCD certification track is for people who have advanced knowledge of the design and are very proficient in vSphere administration and Data center design using vSphere. These ones are pretty tough to crack and takes lot of studying and experience with the product. Only suggestion is to keep working hard and you will be there. These ones are off my list on vSphere 4 version. Update : 3 Oct 12 , completed my VCAP5 DCD and upgraded VCAP DCD from vSphere 4 to vSphere 5 version. Update : 17 May 13 , completed my VCAP5 DCA and upgraded VCAP DCA from vSphere 4 to vSphere 5 version. VCDX now comes the big daddy of all the Virtualization certifications , this is an extremely elite certification and as of writing this post there were only less than 100 people worldwide to have this honor. Tips : complete the prerequisite exams and start working on the design submission early so that you can work on all the aspects of the blueprint. Update : 5 Nov 13 , completed my VCDX5 DCV and my VCDX number is 124. Cloud Architect (EMCCA) I am pursuing this one so that I have multi vendor certifications in the Cloud area. As of now I don’t know whats the value this certification is going to offer but I will give it a shot. It’s good to have multi vendor credentials with you which adds value and also adds up to the knowledge you gain in an attempt to clear the certification. 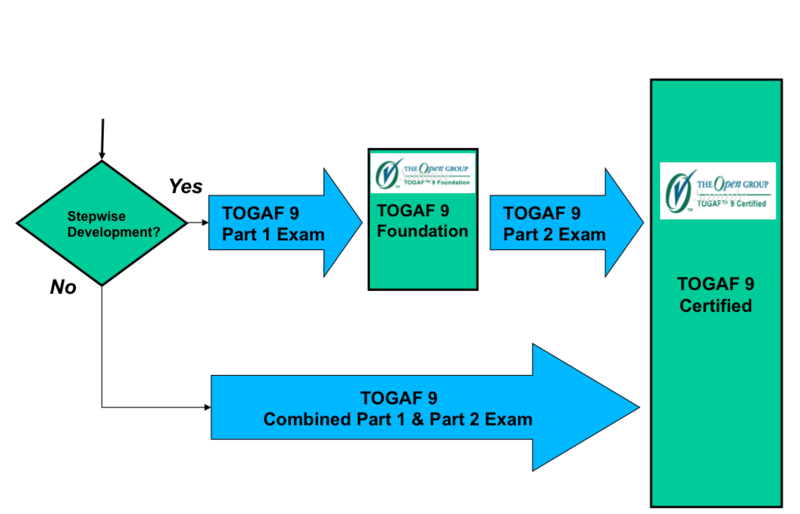 TOGAF9 Any body in the enterprise architect role will know what this is all about, ultimately everything falls under the category of enterprise architecture. So this is a good start to making sure that you add value to yourself as an enterprise architect, whether you work in Virtualization/Cloud or Stoarge or Networking having the concepts of enterprise architecture always helps. Certificate of Cloud Security Knowledge , this is a good start for some one trying to specialize in the Cloud field , this is a certificate specific to Security of Cloud and in my opinion professionals having this credential will be held in very high regard. you can give CCSK certificate exam online from the comfort of your home or office. I will keep on updating this page on what I am pursuing , this will also help people who are looking for guidance on what certifications they should pursue for a career in Virtualization/Cloud consulting. VCP is the first if you haven’t already have this , then you can choose the VMware Cloud track of certifications , EMCCA and CCSK will be the next steps. You should also look at ITIL V3 along with the certs mentioned to have a strong base. Congratulations on clearing VCAP5-DCD exam . I am also preparing for the same . Can you please share what resources you had used for th exam preparation and how much real world experience in design is needed for this exam. If someone dosent have real world experience then what will be the best way to prepare for this exam. I have not yet completed the VCAP5 DCD , done my VCAP4 DCD will be writing the version 5 soon. On the exam preparation front the DCD test your knowledge on data center design , you can take a look at My VCAP DCD experience here for complete details. Currently I am doing my VCAP5 DCD preparation and I am reading only the vSphere5 Design course material and vSphere5 Clustering Deep dive by Duncan and Frank as most of the VCAP4 DCD things which I covered in past is repeated in the VCAP5 version also. Hope this helps. Hi Sir, I want to do VCDX . Plz help me. I am staying in Banglore. I am complted CCIE R&S. 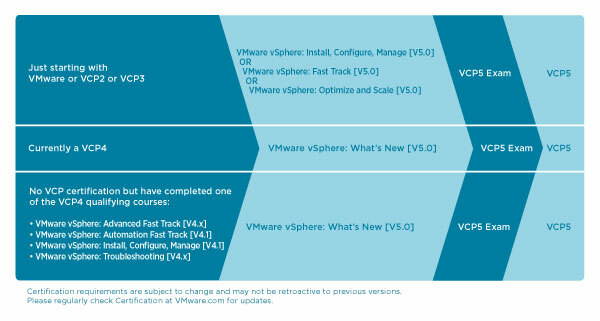 I am not sure if you have looked at the VMware’s latest certification track. For VCDX DV (Datacenter) you need to first write these certifications VCP5 DV , then VCAP5 DCA and VCAP5 DCD. You have chosen the right track , you have solid background in networking and ITIL which will certainly be helpful.Data Center Design is a broad category and this does not involve only virtualization. If I am at your position I would make good base in Enterprise Architecture related technologies/frameworks. But would specialize in certain areas such as Virtualizatio/Cloud or Storage for example. Remember each of the technologies which comprises a data center is in itself very huge. So specialization is a key here. Hope this helps. I am a fresher, just completed my engineering (Information Technology) this year. I am presently working in Enterprise Services in one of the good companies in India. Somehow I have been assigned to develop the Virtual Desktop Infrastructure ( VDI ) capability for my company. I am little confused about the way I should proceed. I do have Enterprise Labs at my disposal, but still I am little unsure about the way how I can develop this to be delivered at professional level. Thinking about the certification exam, as far as I know, VCP5-DT doesn’t require any other prior certifications. What other certifications should I be looking at ? Is there any book/guide for the VCP5-DT exam ? Could you kindly provide me a road-map to smoothly develop this capability ? For VCP5-DT you have to be first VCP5 , look at this link this has all the details and suggested courses. As far as your VDI design , you can refer to books which can give some insight on the overall process. However VDI design is a complex project, seek other experts help for your design work. If your company is a VMware partner then you can use the VDI design kits available to partners by VMware Professional Services team. A story from my journey , when I started my career I was in the field of Database programming , Linux and Networking. However some 7 years back I got into the world of virtualization, since then I have been addicted to it.This domain is very rewarding to work in, technology wise and career wise. The beauty of working in this domain is that you never leave any other domains (Networking, Storage, Security) but you use your experience with these fields to make your foundation strong for virtualization. For VCP you should attend the VMware ICM classes and start playing with the eval versions of products. There are lot of books on Amazon for VCP which you can choose to read. Please help me .. and do the needful. I didn’t get your question fully , but looking at the writeup it seems that you are interested in moving to virtualization domain. Certainly a VMware certification and knowledge is required. I have working in IT industry for the past fifteen yrs as system integration, have achieved various certifications namely MCSE,NCDA(netapp),DCSE(dell),Vsphere VCP 4,ESF level 2 (dell/emc) I am interested in vcloud.Could you pls suggest me which course and exam should I take. Am I elegible to take vcloud direct without taking VCP 5. Your suggestion is highly apprecaited. It’s always good to acquire knowledge , just make sure that you gain experience as well. can you share your contact number. need one guidance on vmware carrer. Send me your questions on the comment form , can’t share my contact details. I have recently completed my RHCE exam and working as a system Engineer. I am so interested in Virtualization technologies. What is the best way for me to start in this path ?. Best way to start is to get your hands dirty :-), first finalize which are the products you want to specialize on.Get a home lab setup (it can be your laptop/desktop) and then also go for formal trainings in that subject. I hope this helps. Hear! Hear! Need that test lab to play with… most of my Microsoft Certifications Exams (30+ at peak) were done with self-study with a good cram book or two. And, that test lab! Not much for classes. Like them fine, but, they add extra cost and sometimes time that is not available. Hoping my VMware effort will respond similarly to my efforts. I want to make career in cloud, but wanted to know which one is to go with VMWARE or Redhat, IBM. I am thinking of making my full career in cloud, right now I am Test system Engineer. Kindly guide me further, which certification is in demand in cloud or I should start with Virtualization?. Before going for certification it is important that you build skills in your area of choice. VMware certifications are in demand and you can certainly go for them , however make sure that you spend enough time learning the different solutions. Thank you for your blog! I am reentering the Job Market and using the same techniques to be in-demand that worked so well for Microsoft Certifications 20 years ago. That is, I immerse myself in everything I can find about it, LOL! And, I seek out Mentor’s to learn from. You, My Man, qualify as a Mentor… thanks! Hello samir sir, it’s great to know that you have solid knowledge in field of cloud. Sir i am pursuing my m.c.a. degree in final year and thinking to go for certification in cloud computing but i have no idea which certification i should choose. I request you to please help me in choosing certification which will be fruitfull for me as a fresher in getting the job. Cloud computing as a word is extremely wide now. You must select which vendor’s product you want to specialise on , It may be a good idea to start with a Virtualization product (VMware ESXi , MS Hyper-V or KVM). Once you have the foundation you can then look at Cloud certifications from VMware , Amazon or Rackspace. I am a vcp 5.1 certified and working as a vmware admin. I am planning to go ahead with VCAP-DCA certification. Can you please throw some opinion on how to take it further, exam guides, dumps etc. That will be really helpful from a seasoned personl like you. Sorry no dumps will help you for VCAP exams. For detailed guidance you can refer to plenty of resources available on internet.